Hugelkulture – or What do I do with that pile of branches? Hugelkultur bed after one month. When I first learned about Hugelkultur I didn’t think I would ever use it in my garden. 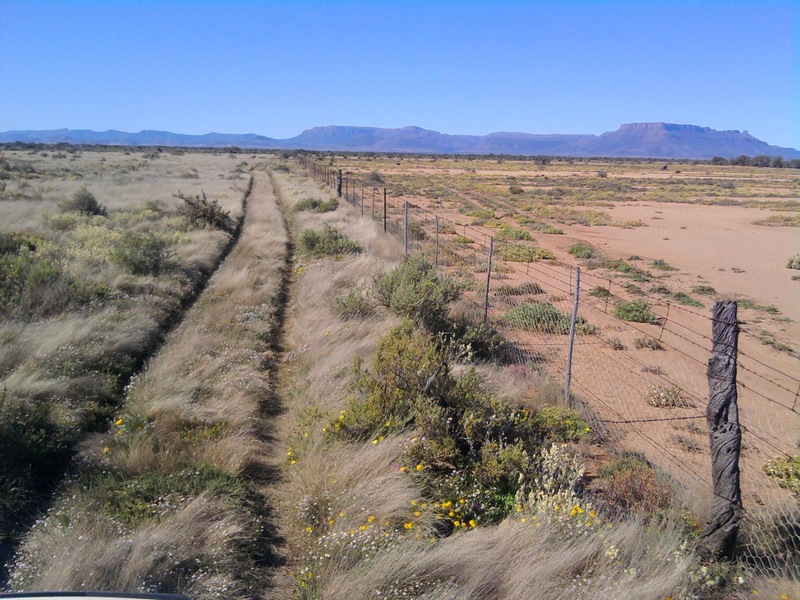 If I lived in west Texas, maybe. But why would I need drought-proof garden beds when I live right next to a lake? Not only do I live next to a lake, my garden is all of 1.5 feet above the water level, so the soil hardly ever dries out. Even though I found Hugelkultur interesting, I figured my abundant woody debris would be better used in my fireplace. Building hills out of it sounded like way too much work. I didn’t think Hugelkultur would apply to me, that is, until I read about the heat. Not the heat of burning wood, but the heat generated by decomposition of the wood and other debris. It actually raises the temperature of the garden beds. That I could use. My garden is in at the bottom of a hill, so it sits right where all the cold air gathers. And my property has very tall trees, so the garden gets only half a day at best of sunlight in the summer. Give me more heat? Yes! Hugelkultur, in case you haven’t heard of it, is an old school technique from eastern Europe that has gained a big following in the Permaculture movement. ‘Hugel’ means ‘hill’ or ‘mound’ in German. 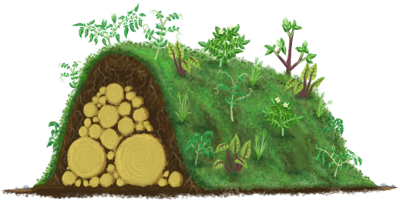 Hugelkultur, briefly, means making hills out of woody debris and compostable matter, covering it with dirt and mulch, and then growing things on it. It’s main selling point is that you hardly ever have to irrigate. The more I thought about this in my garden with ‘yes’ rather than ‘no’, the more reasons I found that it was a good idea. I already use raised beds, but they are only a foot tall, at best. 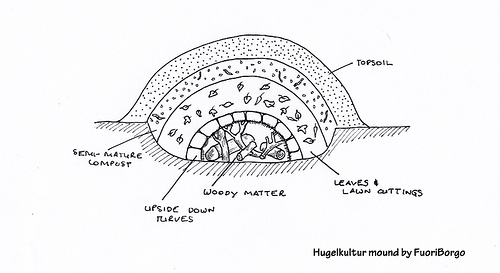 The 3′-6′ of Hugelkultur hills would give my beds a lot more sunlight, and put them higher than the cold air traps. That’s three ways in which they would increase the heat, extend the growing season and increase the yields. And, did I mention my abundant woody debris? I have almost one acre, half of which is trees, mostly fir and cedar. Between the storms in winter and general clean-up (after many years of neglect) I have a LOT of branches, stacked in piles all over the place. Heck, if I wanted garden beds in the middle of my pathways I could just pile on some dirt and be done. I think it would be better, however, to clean up a few … unfinished projects … and create some cool new features in my garden at the same time. All that decomposing debris will break down into a mass of organic matter, complete with whole ecosystems of microbes, fungi and worms. 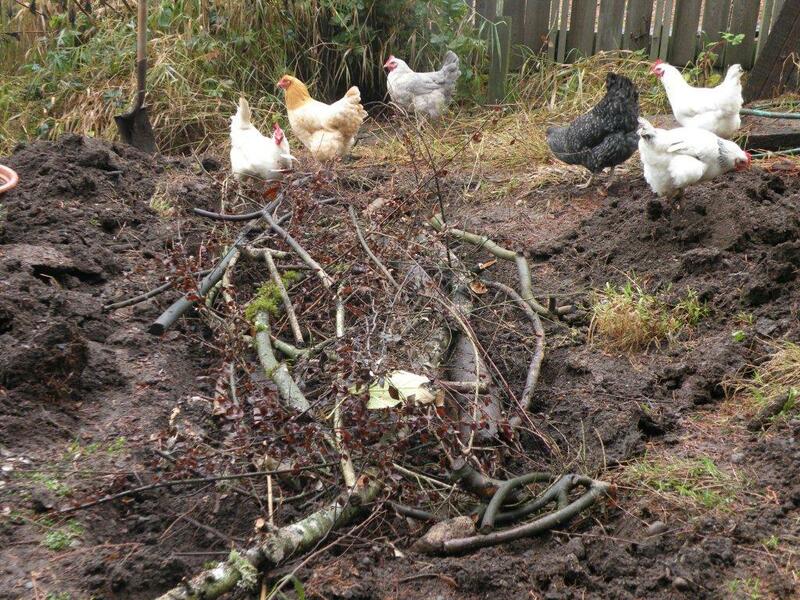 The chickens helping me sort the branches. It got to about 3 feet tall before the rains came and I went inside. I got rained out today, my first day of building a Hugelkultur bed, but I did get a good start, and I eliminated one of the piles on my pathway. If there are any breaks in the next 3 days of predicted storms, I’ll get out there and finish. You, too, could put your fall clean-up debris to use this way. 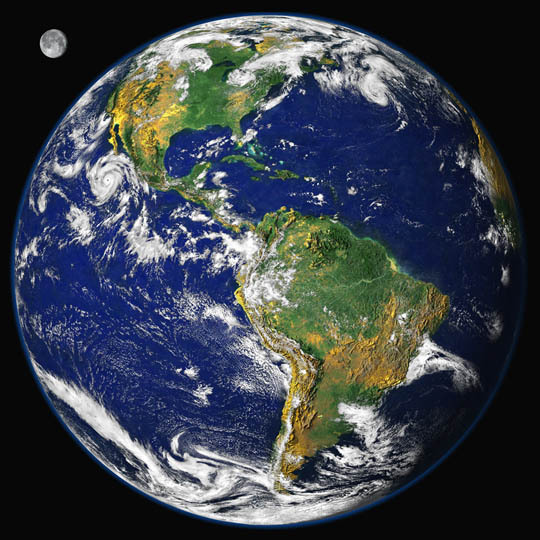 For maximum helpful information, I have put a different link behind every Hugelkultur and Permaculture in this post. Have fun exploring and reading other people’s stories. May you be inspired to bring more food production to right outside your own back door. Great Idea: Sustainable, organic and biodynamic ways to grow food, with increased yields and minimized need for inputs of work, fertilizers and water. Practical Step: Setting up Nature to do the work for you by paying attention to how plants, animals and soils work. ← How Do We Feed Ourselves? Writer, mother, healer, consumer of knowledge and experience, disseminator of distilled nuggets of said knowledge and experience. Studies show that the happiness and well being of each individual in a community grows as the equality of opportunity for all people in that community grows. We are one community. I find it truly inspiring to witness what is being done around the world to give every single person the chance to live a beautiful life. I hope you find it inspiring, too - both for appreciation and for action. Help Support the spread of Great Ideas! Hugelkulture - or What do I do with that pile of branches?